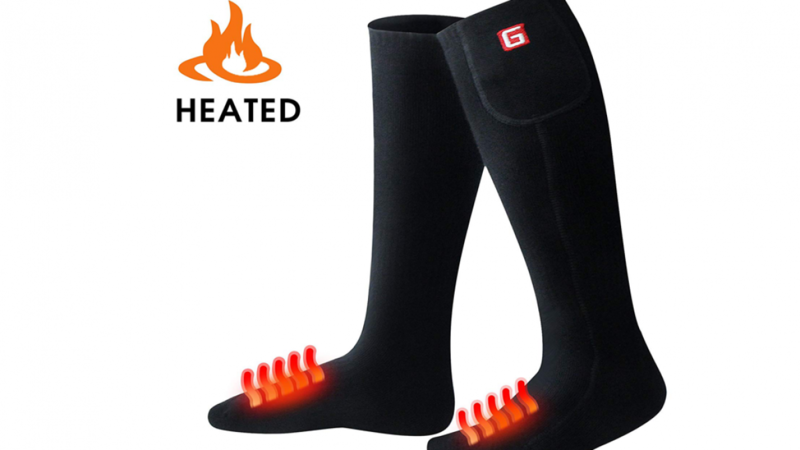 These rechargeable electric heated socks are perfect if you suffer from chronically cold feet. Keeping your feet warm is important because it has been proven that we lose a lot of body heat via our feet. When your feet are cold the rest of you will probably be cold as well. Winter is fast approaching. If you live in a very cold area you will be glad to have a pair of these on hand. These are a wonderful idea if you enjoy outdoor winter activities. They are great for activities such as ice fishing, hiking or sports because they will not shock even if they do happen to get wet. The toe and the heel have been reinforced so they are durable and they are also designed to be comfortable for you to wear. You will never have cold feet again because these will make sure that you don't. Wear them alone, under slippers or with your winter boots. If you are travelling to a cold area this are a great idea. When you are not used to very cold temperatures it can be hard to adjust to them. You may not enjoy a visit to an interesting new place if you are freezing! If you think this socks are cool then you may also like to check out the following.